Conservatories are a quintessential British must for any house. 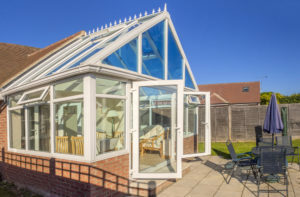 With long, rainy summer days and chilly bitter winter evenings, conservatories appear to be the answer to all your problems. Idealised as a ‘room in the garden’, conservatory’s offer us the opportunity to indulge in our gardens while simultaneously being protected from the unpredictable precariousness of British weather. However, as with many things, the dream is often a far fetch from reality. Due to the nature of conservatories, they do not provide very good insulation. Although their glass structure may look aesthetically pleasing, in terms of practicality, the glass offers little in protection from the unforgiving British weather. A drafty and cold cave throughout the winter, and a stifling stuffy prison in the summer, conservatories often become more of an accessory to the house than an actual living space. However, help is at hand with our guide to insulating conservatories, where we offer you help and advice on how you can best tackle your conservatory conundrums. Why is My Conservatory Always Too Hot or Too Cold? When looking at ways to weatherproof your conservatory, the first natural instinct is to look at tackling those looming glass walls as they make up the largest part of the conservatory. However, when it comes to insulating your conservatory, the best and most efficient way to do this is by insulating the roof. As warm air rises, the majority of heat is lost through the roof, making conservatories unbearably chilly in the winter. Contradictingly in the summer, the roof actually works to preserve the heat, where the majority of the sun’s rays penetrate the roof, bouncing into the conservatory and giving it that greenhouse effect that often leaves the room feeling stiffingly hot. Can I Insulate My Conservatory Roof? If you’ve already invested a considerable amount of time and money in rolling out portable heaters through the winter and blasting out industrial sized fans in the summer you may well have given up on finding that ideal balanced temperature. But with the right roof insulation you can throw away your oversized heaters and blaring fans and relax in the comfort of your own home, enjoying your conservatory for what it is. With plenty of options to choose from, there’s insulation to suit every conservatory type and every home. If you’re finding your conservatory to be more of a hinderance than an asset, try lining your roof with traditional insulating materials. A combination of aluminium foil and thermal wadding is a go to favourite of many, as these materials are incredibly effective in both emitting and absorbing heat. Acting as a heat reflector, aluminium foil is the perfect way to insulate a conservatory roof, trapping the heat in the cold, and deflecting it in the heat. Thermal wadding – in contrast – absorbs heat through air pockets, working to trap heat within its insulative prison, thereby effectively insulating your conservatory. A quick fix for your conservatory woes, this works well for homeowners who want a cost efficient and practical way to insulate their room. Those who are looking for a more permanent solution may consider knocking down their conservatory roof altogether, instead replacing it with a fully functional roof that molds into the rest of the house. Naturally this esnures guaranteed climitasied control throughout the entirety of the year, and allows you to make the conservatory feel even more apart of the house. However if you wish to maintain that ‘gardeny’ open plan aesthetic, then this may not be a viable option for you. If you’re looking for a cheaper but effective way to insulate your conservatory, ceiling blinds may be a good alternative. 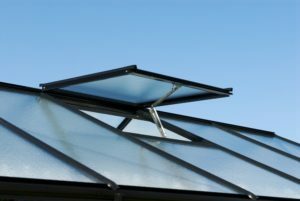 By installing them along your roof, you have the option of opening and closing them at will, allowing you to retain the sunny ambience of the conservatory while also providing you with protection from the unforgiving summer sun, and preserving that all important heat in the winter. Last but certainly not least, a new but extremely effective way of insulating a conservatory is through the simple but revolutionary solar control film. The ultimate insulating material, these stickers ensure that you don’t have to compromise on anything to achieve your desired results. Working to target and control the sun’s rays and excess heat, this film is the answer to all your conservatory problems. Cost effective and pleasing to the eye, window film allows you to retain the feel and sunny atmosphere of your conservatory while simultaneously working to ensure that you’ll enjoy it in a way you never have been able to before.